Meet Elixinol CBD, who aims to manufacture the highest quality products from the hemp plant. And now you can buy CBD Capsules (60 or 30 CBD Capsules containing 15 mg each) with a total of 900 mg of CBD to experience relief. • The CO2 extraction method is used in the process. • Infused with CBD oil and other cannabinoids. • Contains 60 CBD Capsules per bottle. • Infused with other natural molecules. Elixinol CBD oil is well known when it comes to finding a whole-plant hemp oil extract derived from specific strains of the industrial hemp plant. This plant contains very high cannabidiol (CBD) levels. 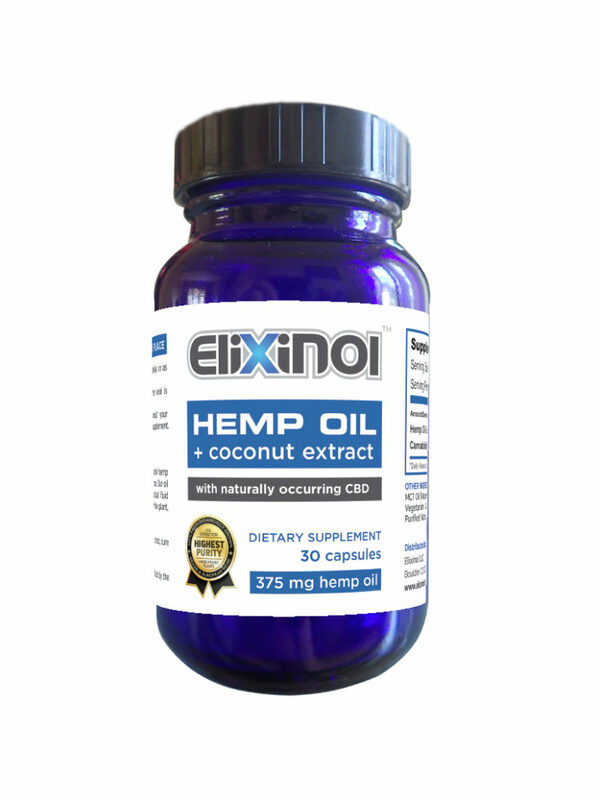 Elixinol’s hemp oil extract doesn’t contain chemicals thanks to the CO2 extraction method. • Stress: In our time, stress is almost inevitable due to the worries of living. Work, relationships, and more can all cause stress. Whenever stress catches up with you, just get rid of it with these 900 mg CBD capsules and get back to your normal self. • Appetite loss: Our bodies need food and drinks to get energy so as to keep running, or else you will collapse. Now you can deal with a lack of appetite by taking this product and regaining your desire to eat. No more worries. • Inflammation: Don’t let inflammation hinder you from carrying out your daily chores and going to work. You can deal with inflammation by taking CBD Capsules from Elixinol. • Pain: Almost everyone complains of some pains at some point in their lives. Some have joint pains, but other pains may result from inflammation and arthritis. You can halt the pains by simply grabbing this product from Elixinol CBD. • Tremors: Tremors can be very irritating and affect your daily life. Before it escalates, you need to prevent it. You don’t have to undergo such pains; just silence tremors by taking these CBD Capsules. Quality: The supercritical CO2 extraction method that is used to extract the CBD from hemp ensures there is no harmful chemicals used in the process. The hemp plant used to make these capsules is non-GMO and is grown in Europe and Canada. The compounds of terpenes along with phytocannabinoids like CBD, CBN, CBG, and CBC make this product high quality. Effect: By taking one capsule every day, you will notice that this Elixinol product is very effective in dealing with stress, pains, tremors, inflammations, back pains, muscle pains and depression among other conditions. Price: These CBD capsules contain 15 mg of CBD and 375 mg of hemp oil per capsule. There are 30 capsules per bottle which amounts to 450 mg of CBD, costing $44.99. 60 capsules with a total of 900 mg of CBD per bottle costs $79.99. You can buy CBD Capsules 900/450 mg online by visiting Elixinol’s official website to order this product. Final Thoughts: CBD Capsules are what you need to shut down pains from your body. Natural molecules like alcohols, amino acids, vitamins, water, flavonoids, alkanes etc. Very easy to consume and use. Very effective in dealing with stress and pains. Shouldn’t be taken during pregnancy. It’s not a replacement for any prescribed medicine. Not suitable for children under 18-years-old.